Roll up, roll up, the circus is coming to town! beginners round cake class , 6hours from 11am to 5pm. $270 all included.50% non -refundable deposit to book email ninascupcakery@gmail.com to secure your spot. 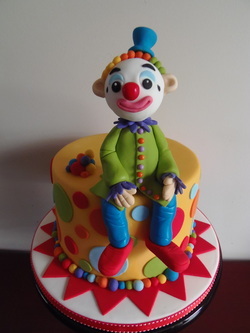 no prior experiance needed, you will be guded through all aspects of assembling a round iced cake and learn how to model this cute clown. will be running again later in year, register your interest, via email or by contact page. 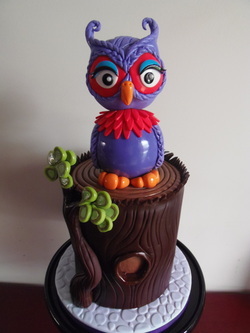 Oh how i luv a cute owl! for full details email ninascupcakery@gmail.com 50% non-refundable deposit to book. this is the second class in the round cake series, to take part must have completed the clown class or have basic equivilent knowledge.